The Book Garden: The Reading Files - Beam me up, Scotty! Thoughts. 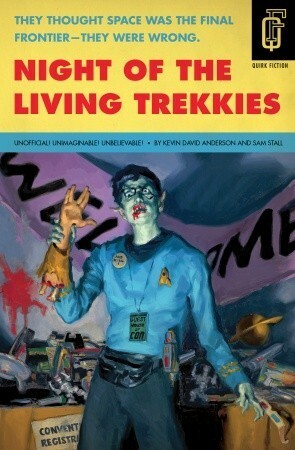 What do you get when zombies start invading a Star Trek convention? Basically, this book. A parody that merges two themes I love seemed like a good idea at time of purchase, but honestly, this novel is so silly it's not even funny. In fact I only laughed about one minor scene. Borderline boring and far too cheesy for me! Random quote. He sighted the first zombie carefully and pumped a single round straight into its chest. Nothing happened. "I didn't miss," Jim Said. "He just doesn't care." Verdict. For die-hard fan fiction enthusiasts only! Thoughts. What do you get when a medical doctor come author reads too much Jules Verne? Basically, this book. The small crew from a submarine gets sucked into a kind of Utopia which inevitably leads to them disrupting peace there. Cookie-cutter characters, no surprises whatsoever, and a stupid ending if I ever saw one. Last words spoken. You've got to be from that college up the Charles River. You Harvard fellows are always making fools of yourselves. Verdict. Oddly unimaginative sci-fi ride to the bottom of the sea! Thoughts. 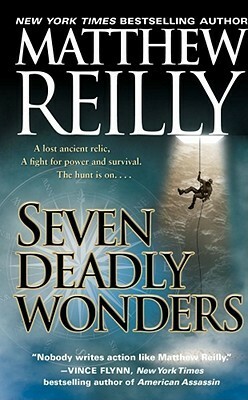 What do you get when Indiana Jones tries to save the world Tomb-Raider-style? Basically, this book. Fast-paced, action-packed, and unbelievably over the top this would be fantastic Hollywood blockbuster material. 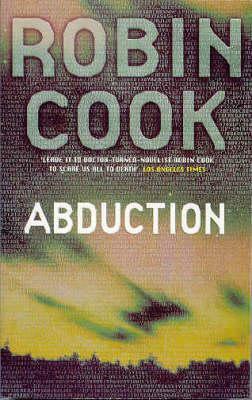 As a novel however it's just plain shallow and implausible which is a shame, because the plot idea had potential. First line. It towered like a god above the mouth of Mandraki harbor, the main port of the island state of Rhodes, much like the Statue of Liberty does today in New York. Verdict. Overdone archaeology adventure for adrenaline junkies!